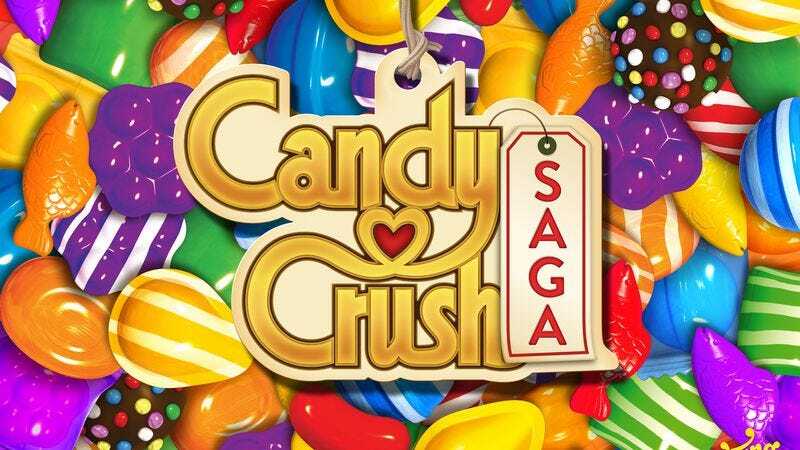 CBS is going to make Candy Crush Saga life-size. The network has ordered a game show based on the time-killing app, it announced today. According to a release, the IRL competition will involve teams of two, who must “use their wits and physical agility to compete on enormous, interactive game boards featuring next generation technology.” So perhaps this Candy Crush will require slightly more exertion than the one you play on your phone. Each episode will be one hour long, and will be emceed by an as of yet unnamed host. Which CBS-affiliated celebrity screams sugary goodness to you? Charlie Rose perhaps? With emoji, Tetris, and Angry Birds getting the feature film treatment, turning a popular digital diversion into a game show is actually something of a novel idea—and one that makes a lot of sense to boot. Instead of trying to anthropomorphize sweets, let’s just have humans wrestle with giant versions of them.